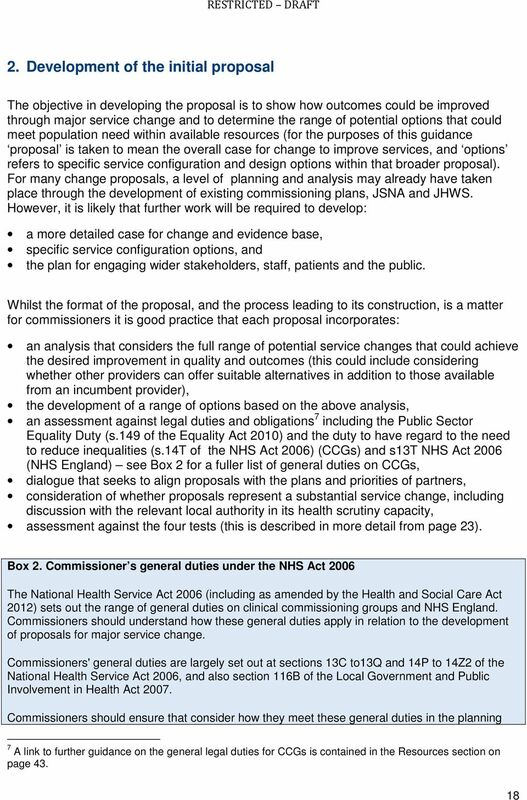 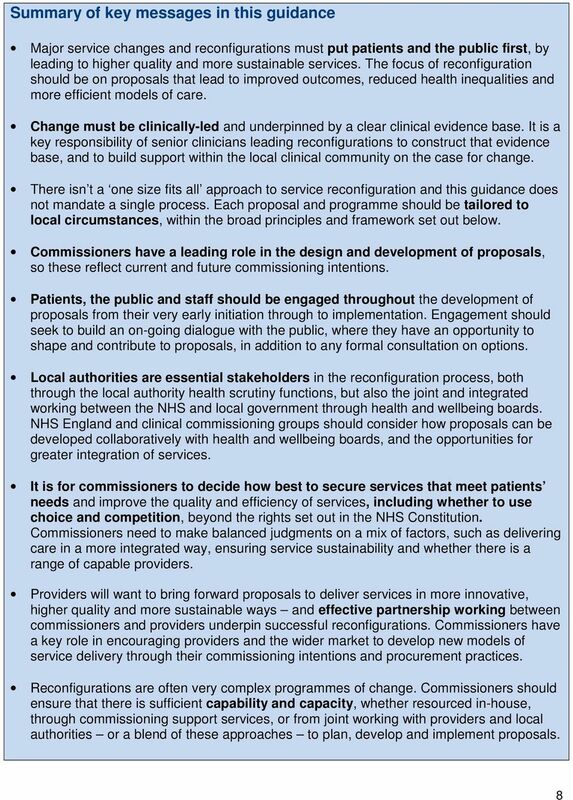 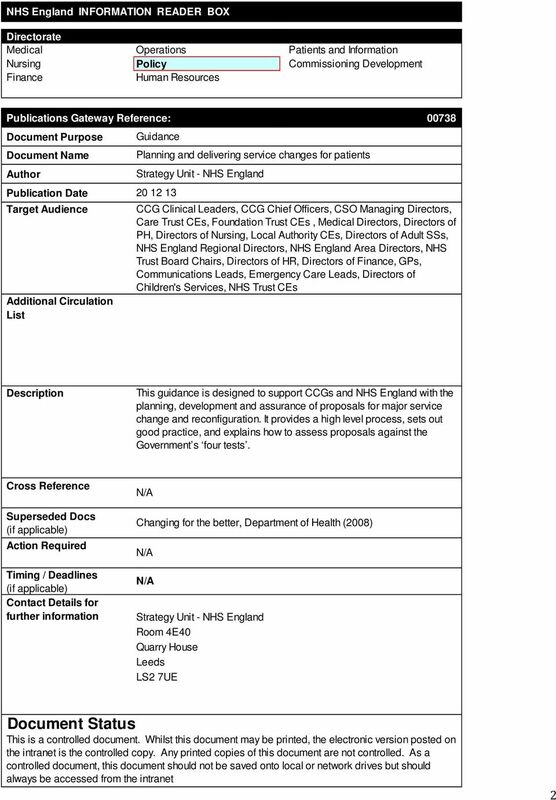 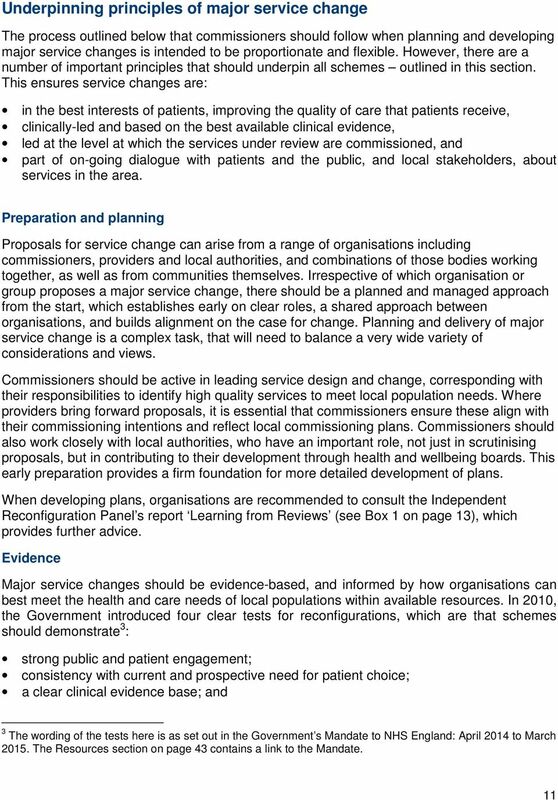 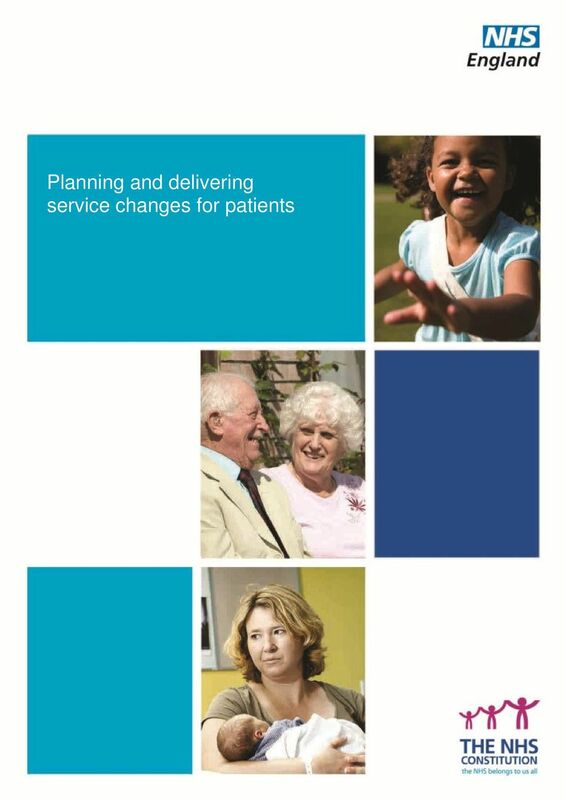 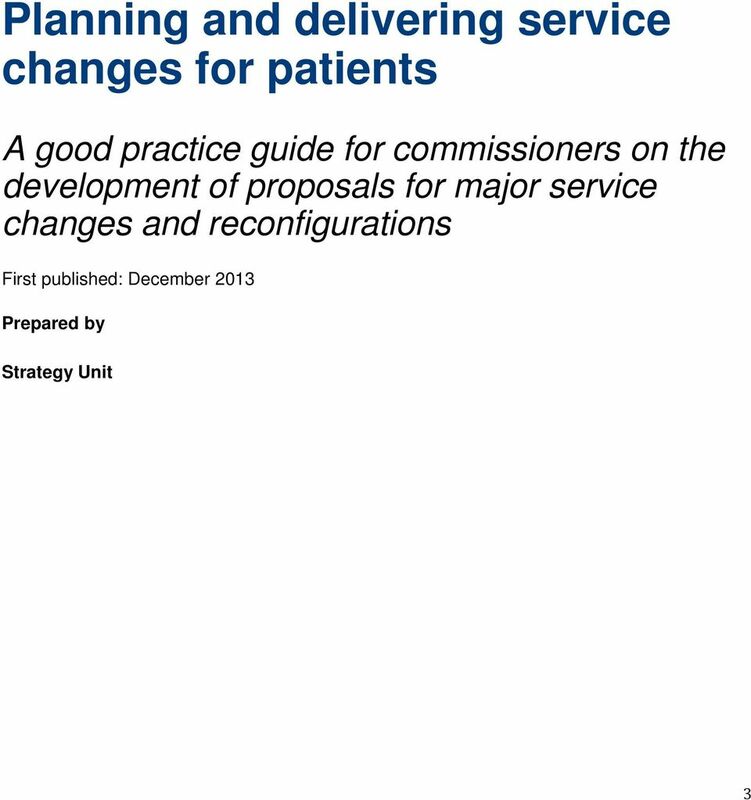 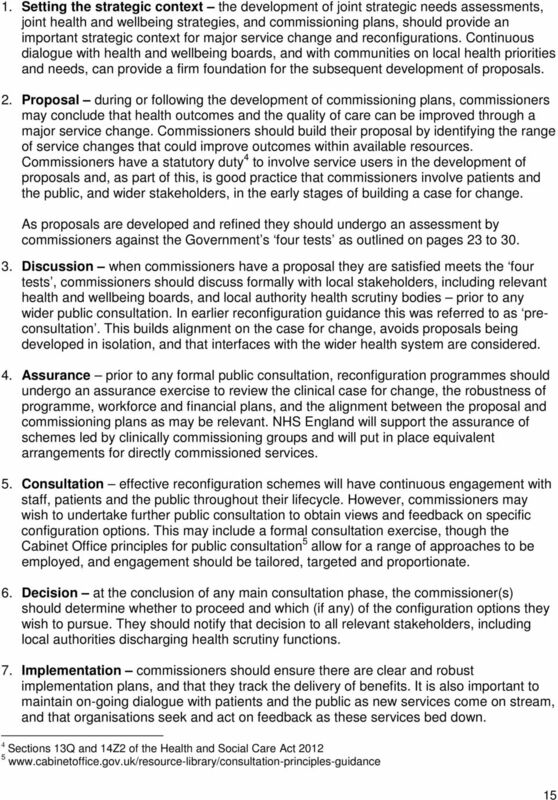 Download "Planning and delivering service changes for patients"
Meets all objectives. 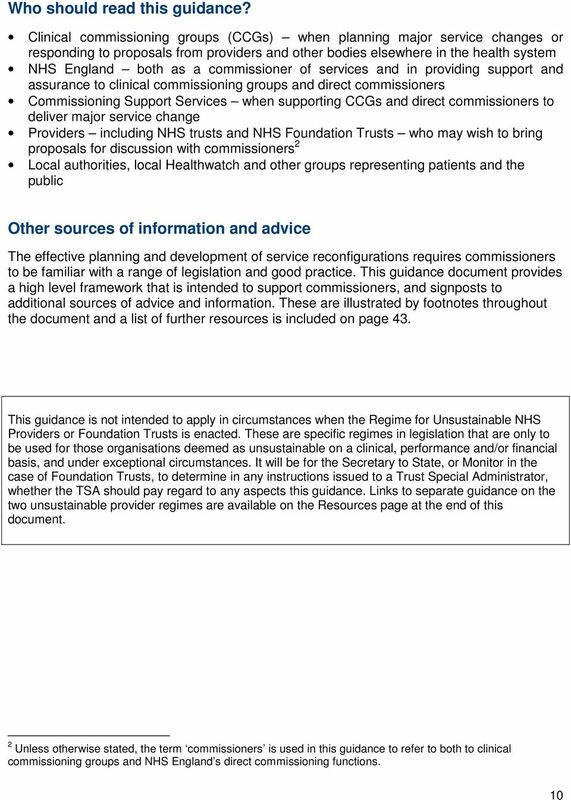 In line with Council policy. 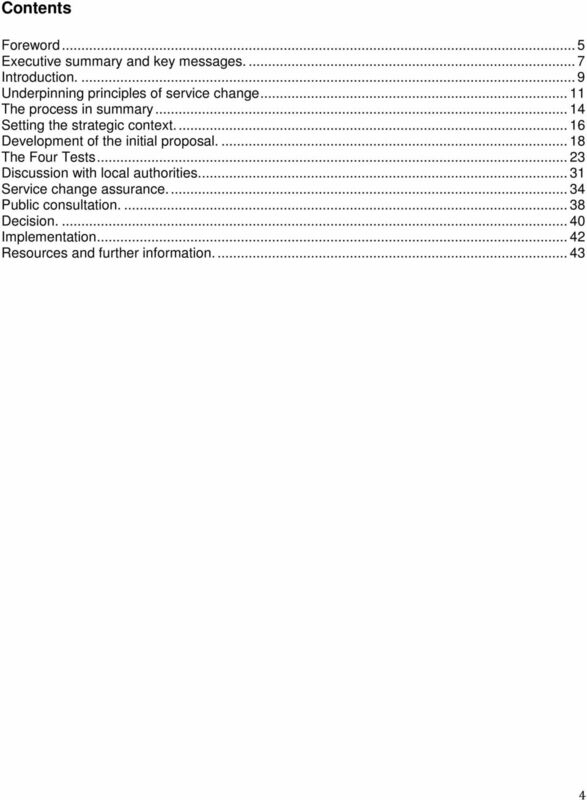 SWBTB (8/13) 166 (g) CONFIGURATION COMMITTEE Terms of Reference 1. 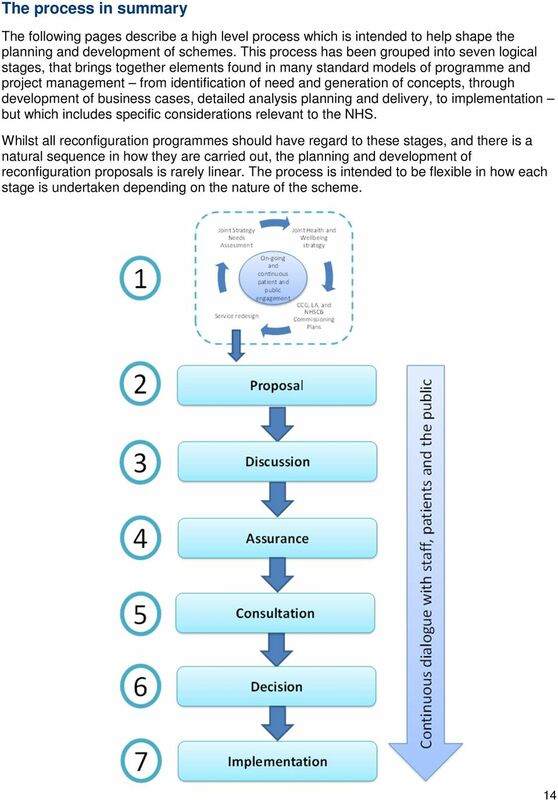 CONSTITUTION 1.1 The Board hereby resolves to establish a Committee of the Board to be known as the Configuration Committee (The Committee). 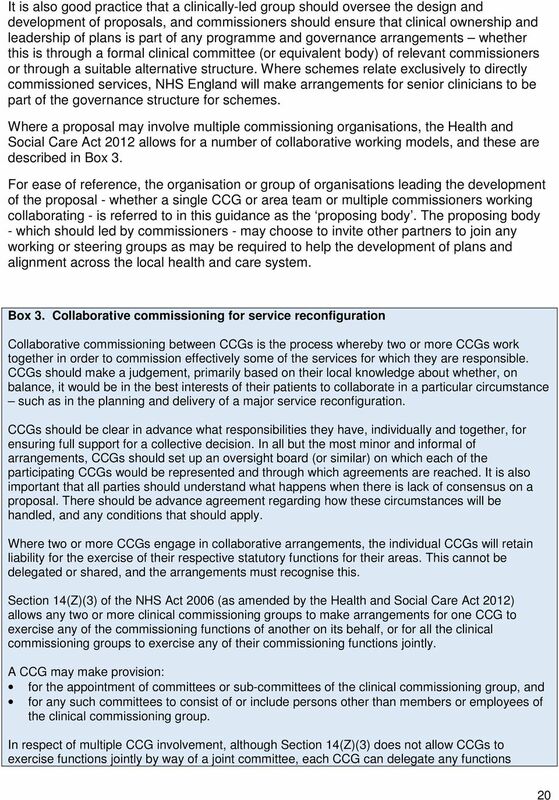 At Clause 4.1.2, changed the term Board to Governing Body to align with the term used in the legislation. 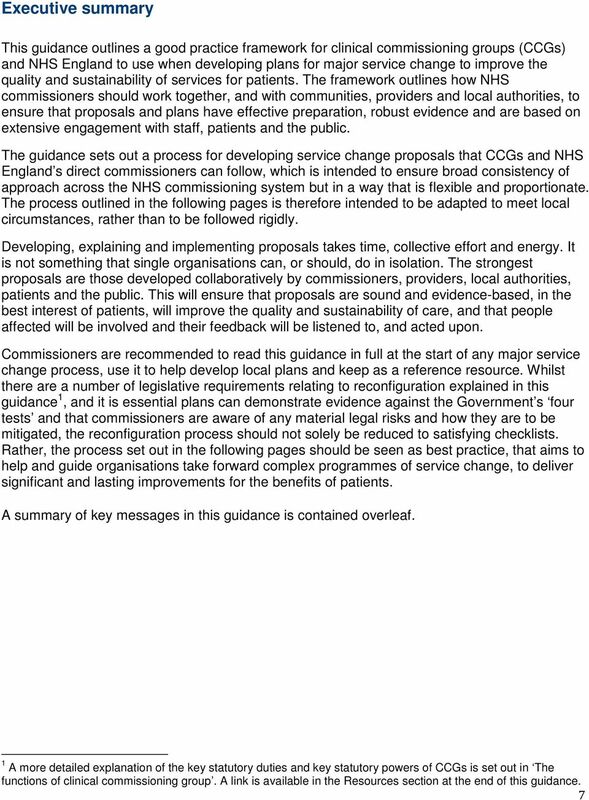 Page 14. 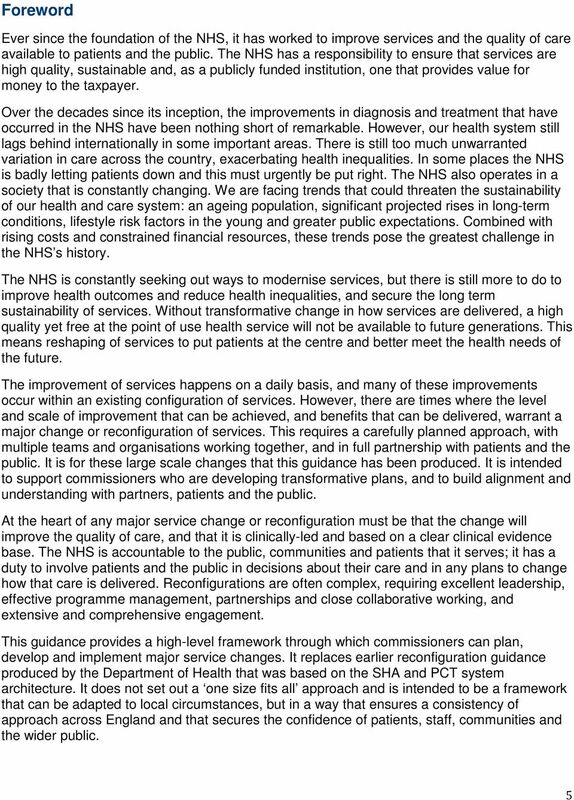 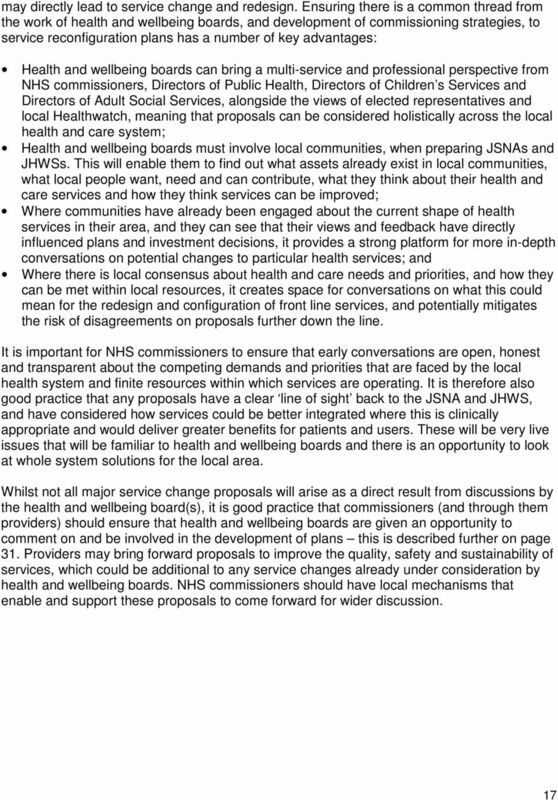 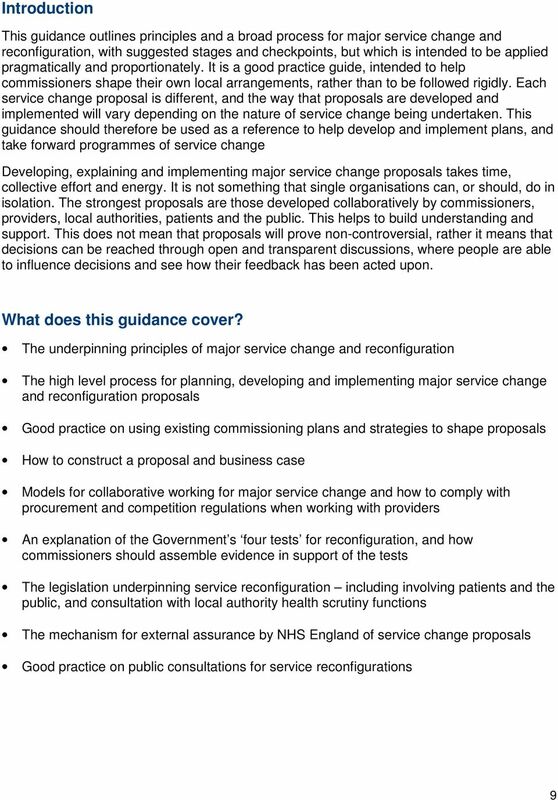 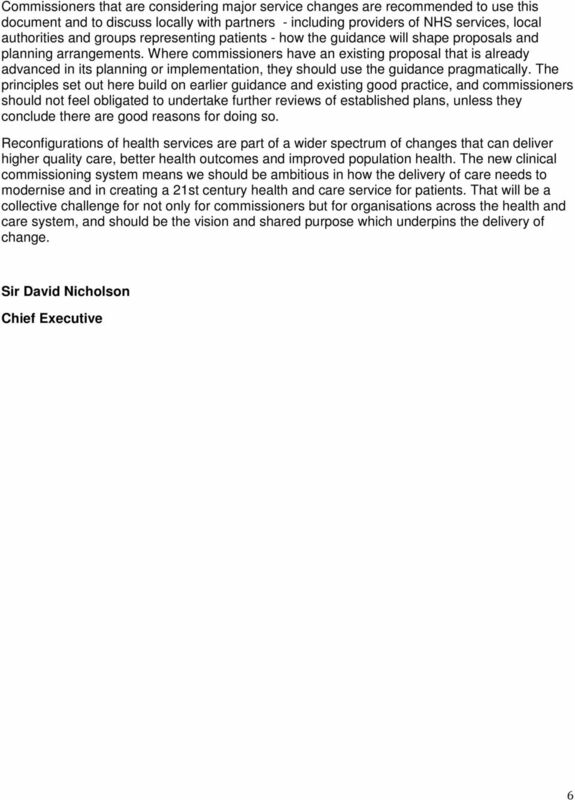 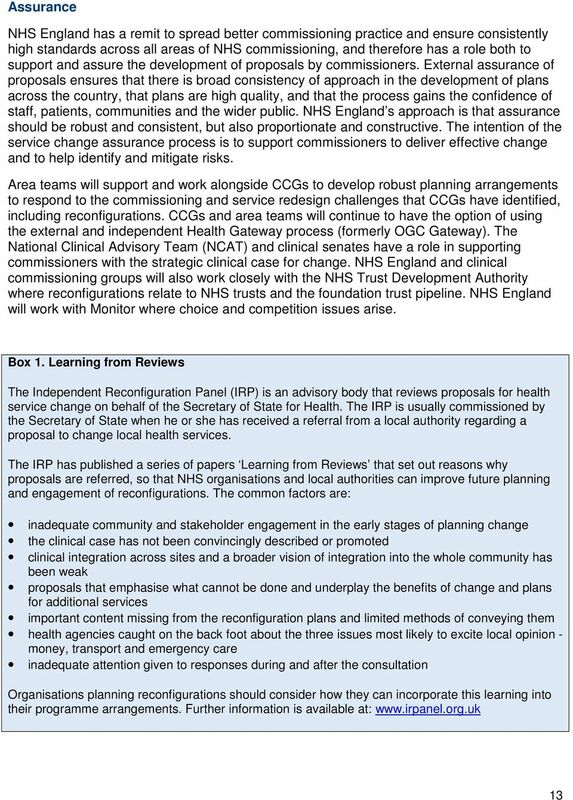 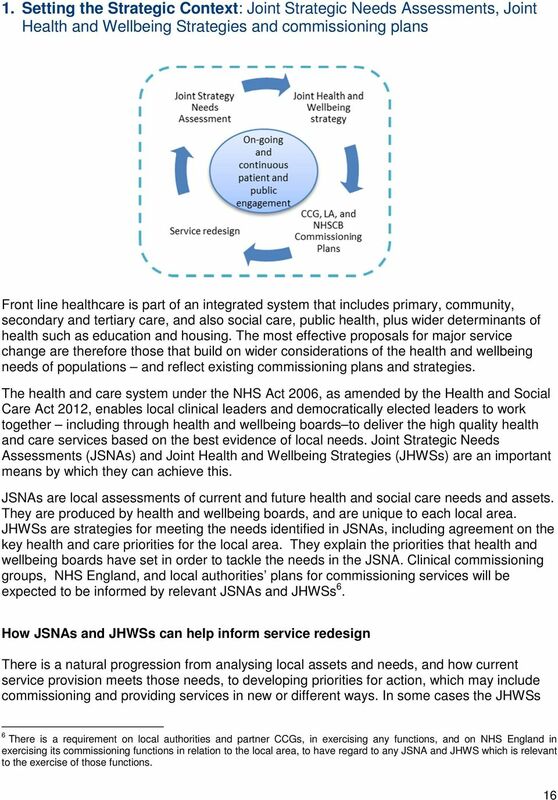 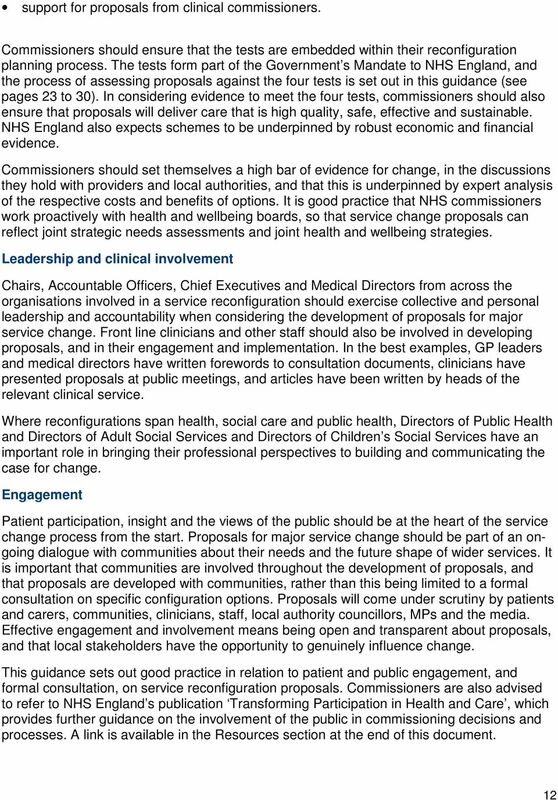 Guidance Developing Commissioning Support: Towards Service Excellence was published by the NHS Commissioning Board Authority in February 2012. 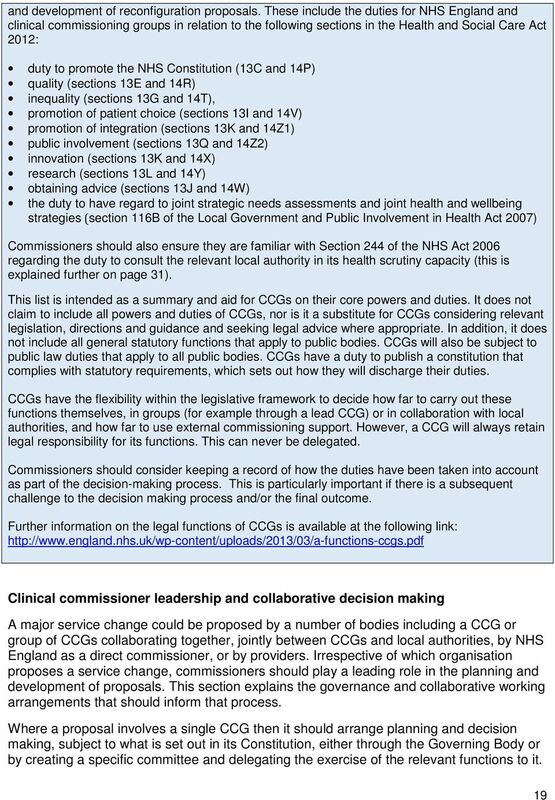 When do NHS Bodies have a legal duty of consultation?